If you’ve got a mental block about eating moldy cheese I won’t try to convince you. But if you just think you don’t like blue cheese dip because you’ve only ever had the stuff they serve in little plastic cups at the wing place, you should really try some of the good stuff. The fast way to make this is to just take all the ingredients listed up though the mayo and mix it all together. 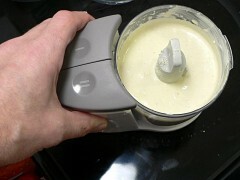 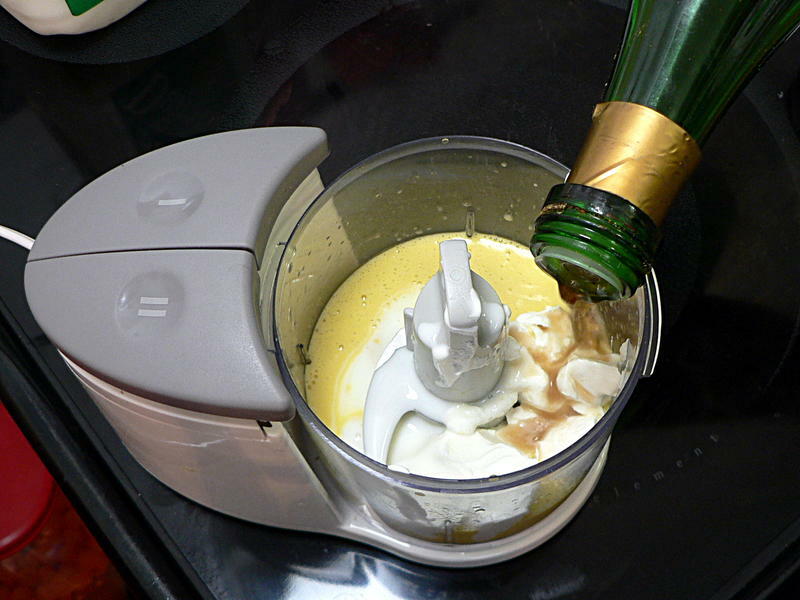 But since I was going to have to clean the food processor anyway, I started with making the mayo myself. 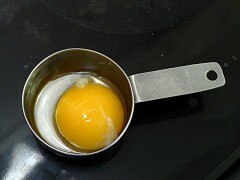 When you separate the egg, put the yolk in your quarter-cup measuring cup. 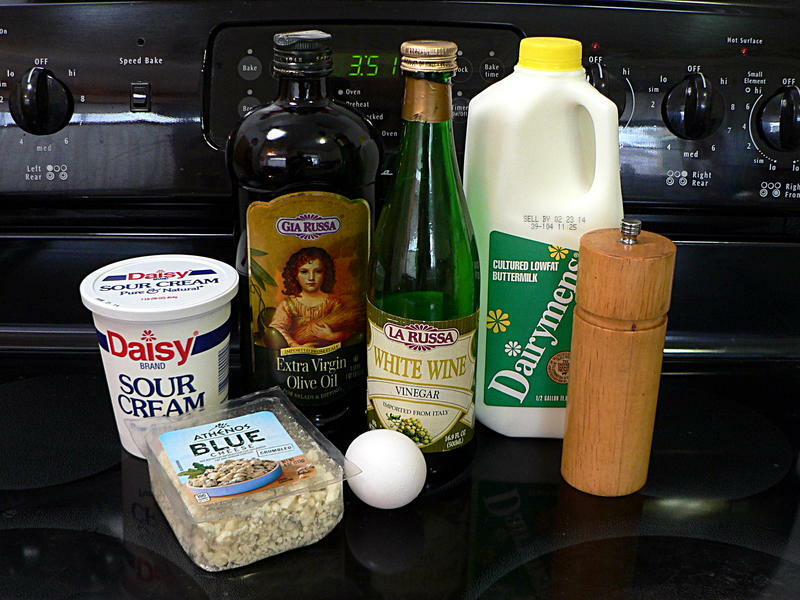 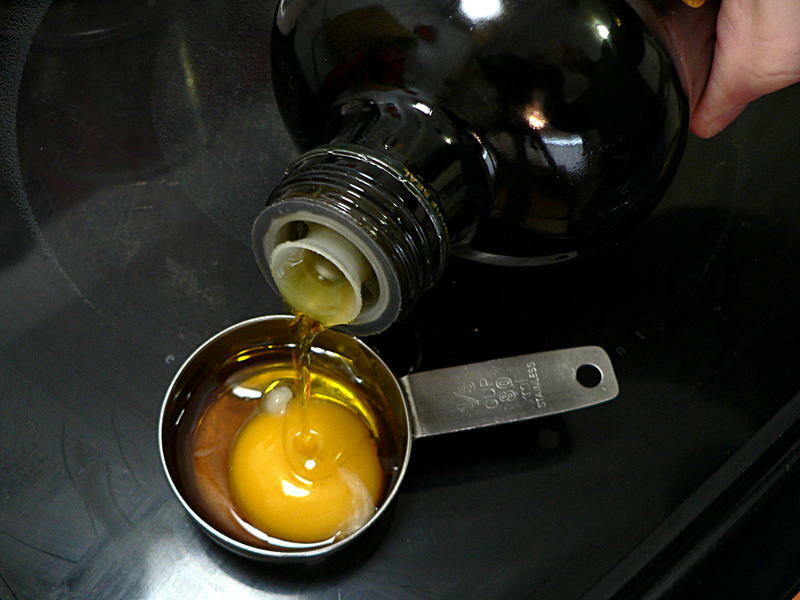 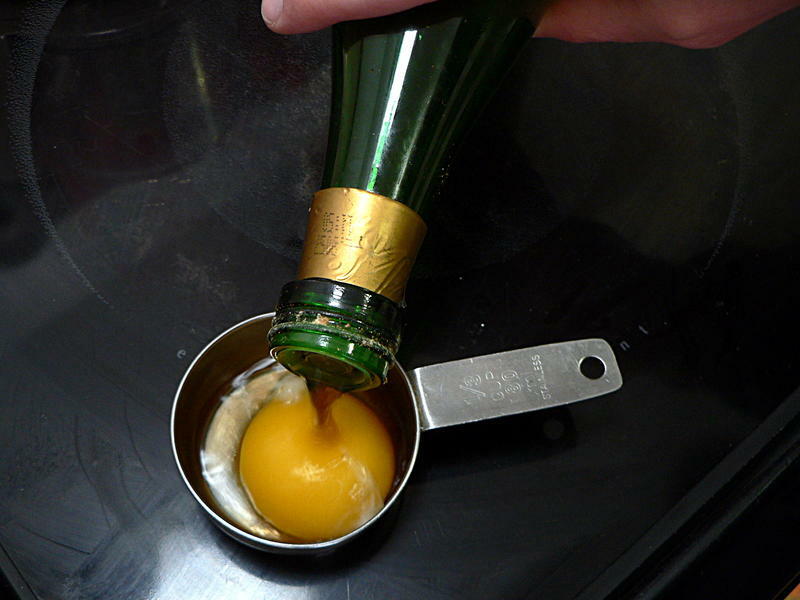 Add the vinegar – I don’t measure, just try for about an equal amount to the yolk – and fill the rest of the cup with olive oil. 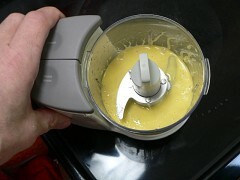 Toss it in a food processor or blender and go until it’s all one thick consistency. 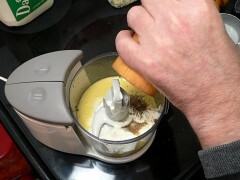 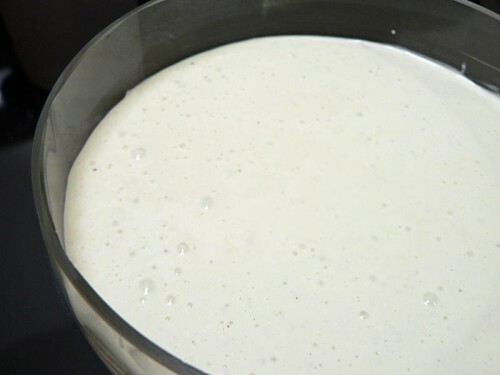 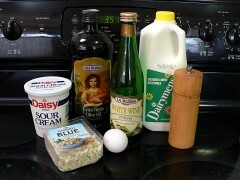 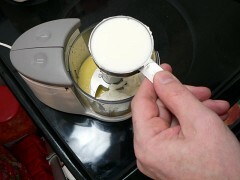 … and of course the cheese, and blend it again. 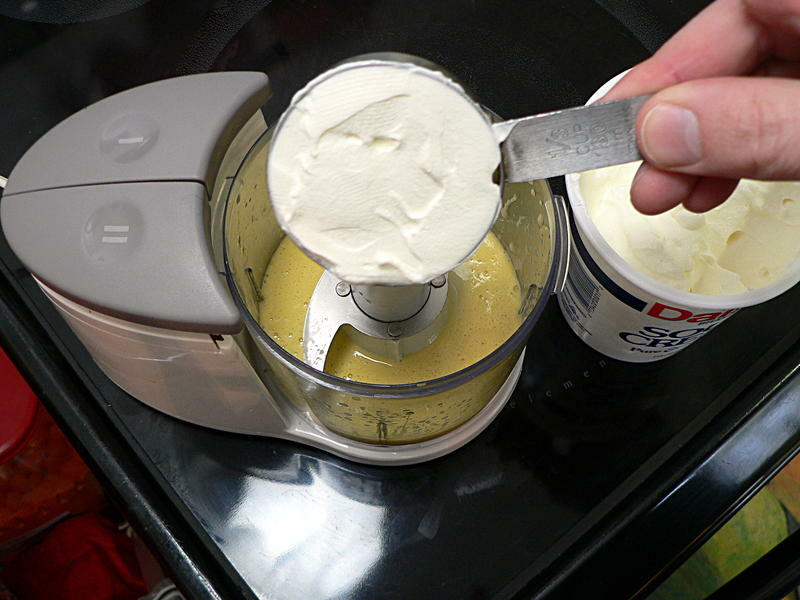 Refrigerate for about an hour to let the flavors combine. 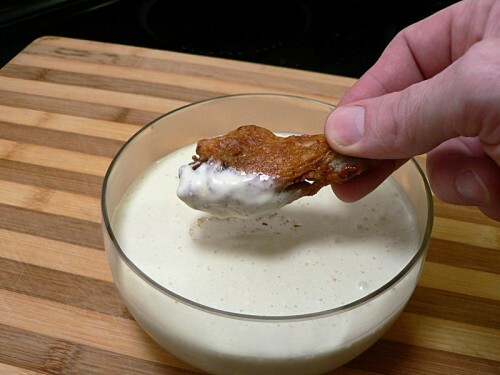 Don’t miss: The simple trick for make-at-home wings, that will beat the take-out kind any day of the week. 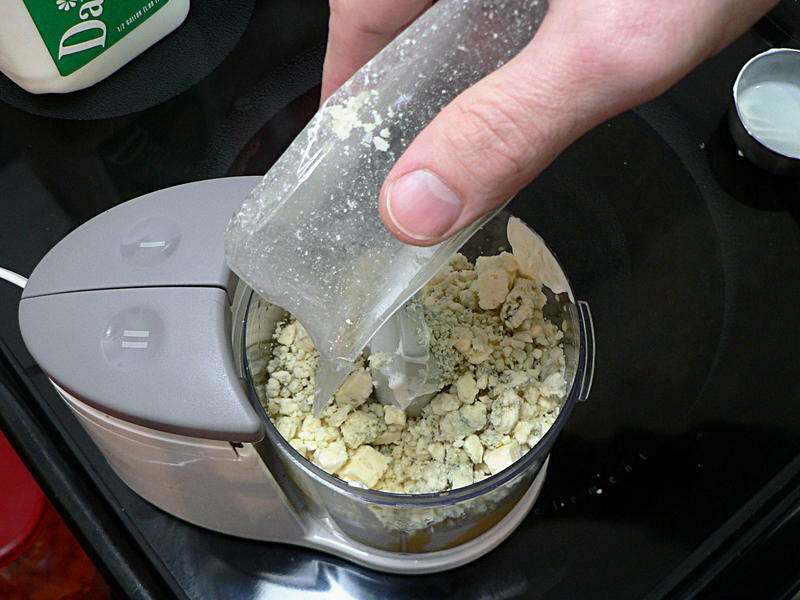 If you think you don't like blue cheese, but you've only ever had the stuff in the plastic cups at the wing place, you owe it to yourself to try the good stuff. 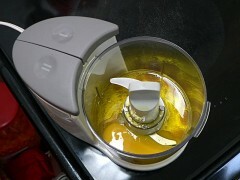 Combine the egg yolk, first measure of vinegar, and olive oil in a food processor or blender and blend until smooth and creamy.